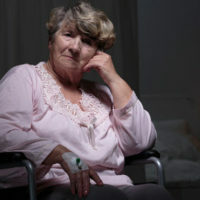 Elder abuse is a difficult problem to deal with. When a vulnerable adult is being exploited, the abuse is often not discovered until it is too late. And while you can file lawsuits after the fact to recover any wrongfully appropriated property, that can take additional time and money that the victim may lack. Florida legislators may soon provide a new legal tool to help curb elder abuse before it gets out of hand. Legislation has been introduced in both houses of the state legislature for the 2018 session that would create a new “cause of action for an injunction for protection of a vulnerable adult from exploitation.” If adopted, these bills would effectively allow an exploited adult–or someone acting on their behalf–to obtain a court injunction against their abuse, much in the same way individuals may presently obtain domestic violence restraining orders. According to the bill introduced in the Florida House of Representatives, HB 1059, a petition for an elder abuse injunction could be initiated directly by the victim, or by the victim’s legal guardian or another person acting “with the consent of” the victim. The petition would have to be filed in the Florida circuit court where the petitioner resides, although HB 1059 provides for no minimum residency requirement. The criminal record of the accused abuser. Any other relief the court deems is necessary “for the vulnerable adult’s protection,” including “directives to law enforcement agencies” to enforce the terms of the injunction. HB 1059 is still just a proposal. But the fact the Florida legislature is considering a new legal remedy for victims of elder abuse is still good news. If you or a family member have been the victim of financial exploitation and need advice or assistance from an experienced Fort Myers elder abuse lawyer, contact Kuhn Law Firm, P.A., today at 239-333-4529.